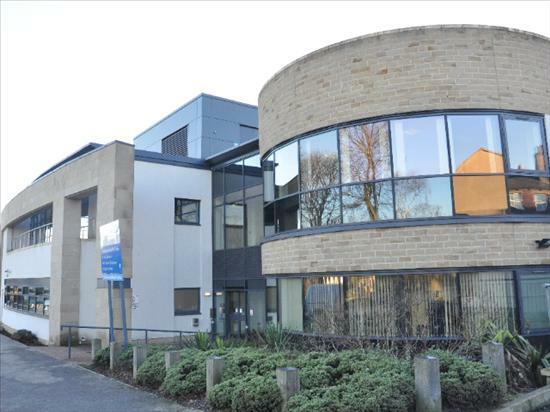 The doctors and staff are pleased to welcome you to the Greenway Medical practice in Cleckheaton. We are located on the first floor of the purpose-built Health Centre, opposite the bus station. Follow the signs and access us via the stairs or the lift. Our team consists of 4 GP’s, 3 Nurse Practitioners, 3 Practice Nurses, 3 Health Care Assistants and a Phlebotomist, plus a range of reception and administrative staff. We are also a training practice, so will often have a GP-in-training working with us. We take pride in offering a high quality service that is friendly, prompt and comprehensive. Please take a look around the website for further information about the practice and the wide range of services we offer. You will also find other health-related information and links that we hope will be useful. 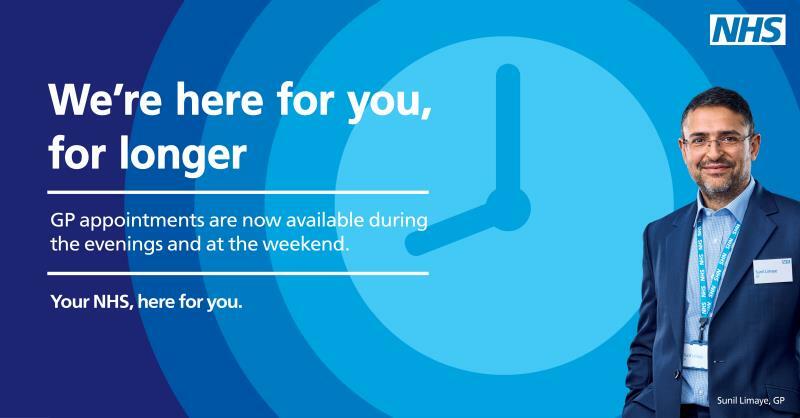 The appointments are available for any patient registered with a GP in North Kirklees and will be take place in Dewsbury Health Centre. 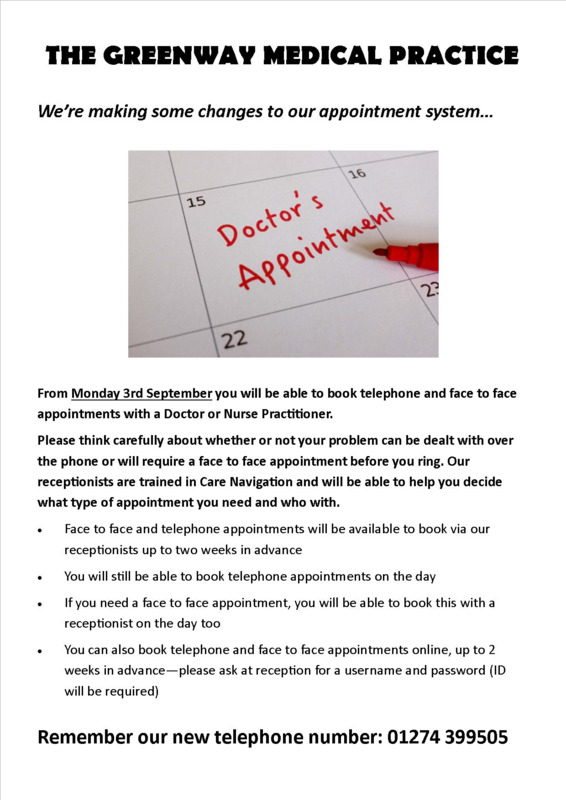 We're making changes to allow patients to book telephone and face to face consultations with a GP or Nurse Practitioner up to 2 weeks in advance. The Greenway Medical Practice was inspected by the Care Quality Commission on Tuesday 31st May 2016. Their report concluded that the practice is 'GOOD' at providing a Safe, Effective, Caring, Responsive and Well led service to our patients.